What happened to revealing the answer on Friday, you ask? If you follow the Paleoaerie Facebook feed, the answer was given there. Sadly, unexpected illness (as if one can schedule being sick) delayed me from getting a more complete post on the blog. Thus Fossil Friday has preempted Mystery Monday. With that being said, were you able to figure out what this was? If you thought they looked like teeth, you are quite right. But the chisel-like teeth are rather peculiar. To give some sense of scale, the teeth are roughly 10 cm long and 3 cm wide. So they are not small. They are hypsodont, meaning high-crowned, like that seen in the molars of horses, which is a good indication of herbivory. The cusps are simple, with only two cusps, unlike that seen in horses and other mammalian herbivores and totally unlike anything seen outside of Mammalia. 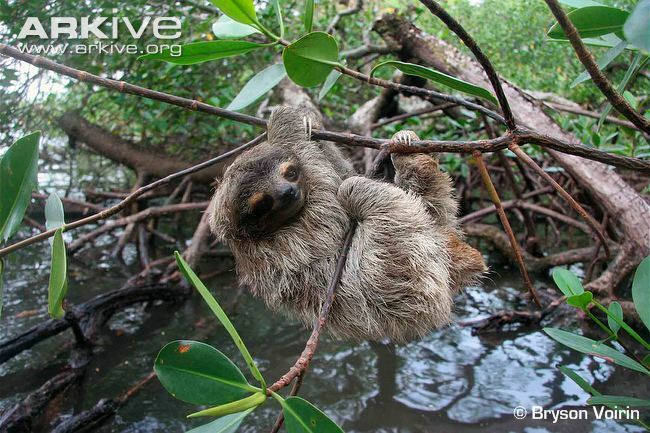 The teeth are distinctive for particular group of animals, those known as sloths. No, not that type. 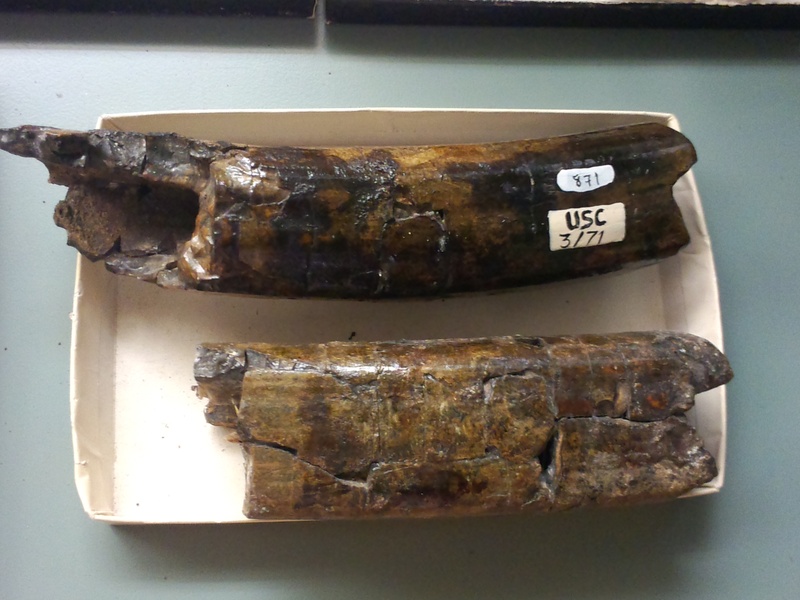 These teeth belonged to a giant ground sloth. Unlike their modern cousins, giant ground sloths are so named because they lived on the ground rather than in the trees and were very large, capable of standing upwards of 6 m (20 feet) high and weighing, depending on who you ask, 6-8 tons. Ones of this size are known as Megatherium and are commonly found in the La Brea Tar Pits, although they ranged throughout the Americas. 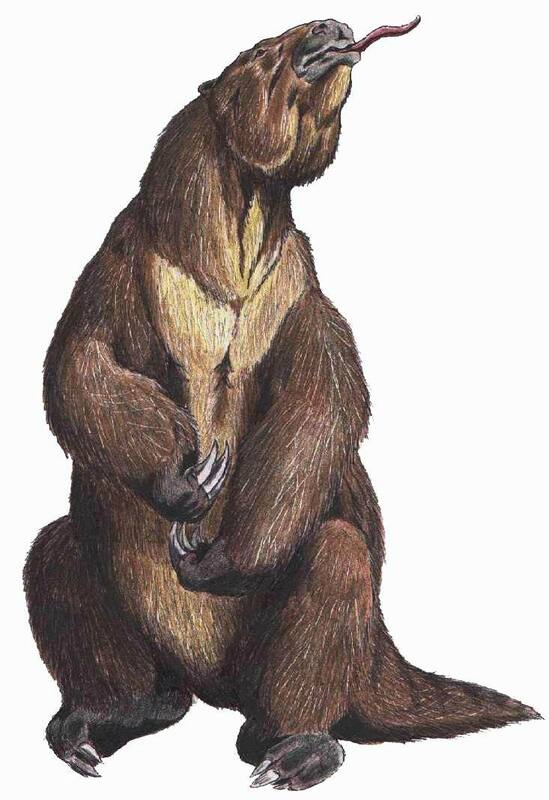 The ones found in Arkansas are of the genus Megalonyx (“Great Claw”) were somewhat smaller than Megatherium, only about half the size of its larger kin, and ranged throughout North America. Megalonyx jeffersonii, or Jefferson’s Ground Sloth, was so named because Thomas Jefferson gave a lecture on this animal in 1797 which is sometimes said to have marked the start of vertebrate paleontology in the United States. Giant ground sloths, as a group, originated in South America about 35 million years ago and made their way into North America during the Great American Interchange about 8-9 million years ago (this is often not considered to start until about 3 million years ago, but fossil evidence indicates at least some organisms began the march between the continents much earlier). The Great American Interchange was so named because this marked the time that North and South America became joined, creating a wide corridor through which many plants and animals passed. Interestingly, ground sloths were unusual in that they migrated northward. 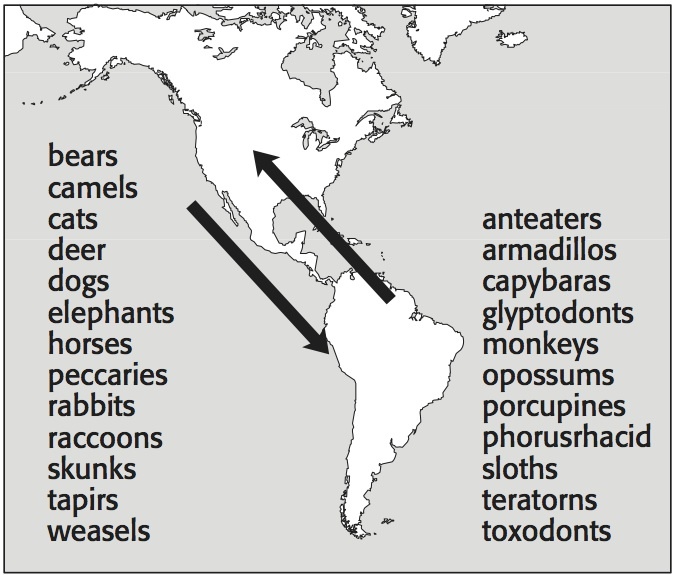 Most animals migrated south from North America. This was most likely due to the fact that Central America at the time was mostly scrubland, whereas the northern part of South America was covered in lush forests. This meant that those on the southern continent had little incentive to leave. The North American animals, on the other hand, were in areas of limited resources and would have viewed the abundant resources in the south as highly enticing. Another animal that went north during this time was one well known to many people in the southern Midwest, the armadillo. 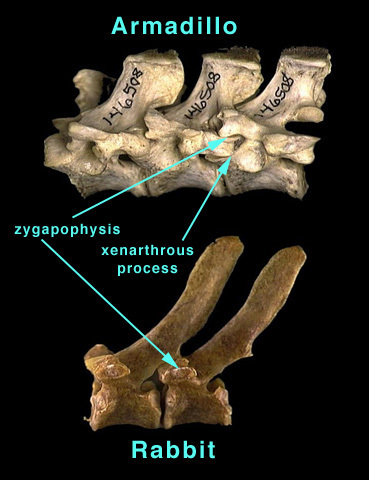 Interestingly, both sloths and armadillos are in the group called Xenarthrans, so-called for an extra articulation in the vertebra. Xenarthrans include sloths, armadillos, anteaters, and an interesting animal called a glyptodont, the mammalian equivalent to the ankylosaur. It had a bony carapace, a tail club, and was the size of a subcompact car. For some reason, the xenarthrans were far more successful moving north than almost any other animal, with the main exception of the giant, flightless terror birds in the group Phorusrachidae, such as Titanis, a bird towering 2.5 m (8 feet) or more tall. Giant ground sloths lived in a variety of environments, ranging from arid savannas to jungles. Most of them, like Megalonyx, appear to have preferred lush forests along rivers and lakes. I will end this with a statement of the end of the giant ground sloths. What drove them to extinction? They went extinct 10-12,000 years ago, at the end of the last ice age. This was also shortly after the arrival of humans, who, evidence suggests, hunted them on a regular basis. As large, slow-moving herbivores, they made for easy prey. Unlike other predators, humans could easily avoid the sharp claws and powerful forelimbs of the sloths by attacking with spears. Was it climate change or human overhunting, known as the overkill hypothesis? Many researchers fall on the side of human overkill due to the fact that the sloths had survived several similar periods of climate change without issue and the pattern of extinctions globally does not match well with local climate changes. However, others claim climate change due to the loss of plant diversity after the last ice age, which was not seen in the previous climatic shifts. Which is correct? Perhaps the answer is both. It is not unreasonable to think that the climate change lowered population levels, which ordinarily would have been survivable, but the added pressure of human hunting proved an insurmountable challenge. By paleoaerie in Fossils of Arkansas, Mystery Monday, Paleontology on October 27, 2014 .